The Toyota Fortuner 2016 is an appealing SUV that has been heralded for its strong features. It has a powerful engine and a luxurious interior. The Toyota Fortuner 2016 is a vehicle featuring a variety of features that make this SUV a popular choice. This was originally introduced in 2005 but it just recently moved on to its second generation with a new look and plenty of special features. This vehicle also has a strong body that can fit seven people at a time. What Is the Toyota Fortuner Price? The Toyota Fortuner is currently available for $47,990 at its lowest trim. The price will certainly go up depending on the special features and options that you add onto it. You would have to spend an additional $2,000 to get an automatic transmission in lieu of a manual. This is regardless of the other features that are included in the vehicle. 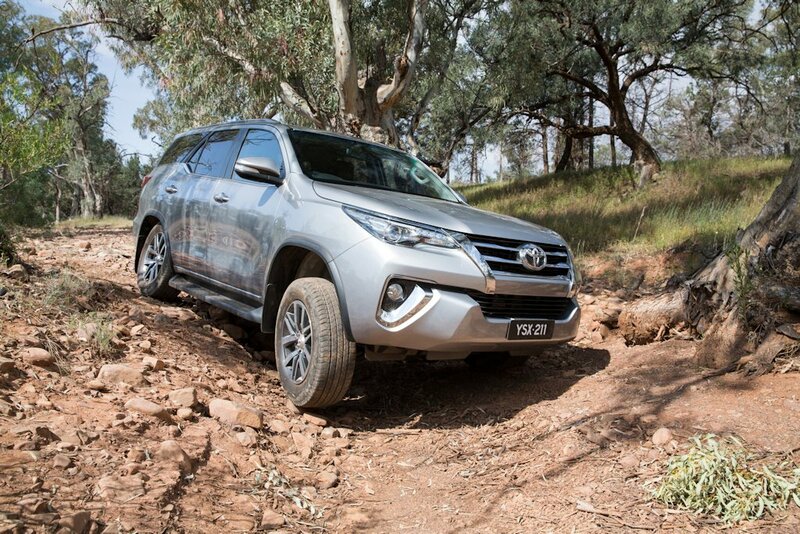 One of the most important things to see in this Toyota Fortuner review is how this vehicle can perform. The front suspension is independent and uses a double wishbone system with coil springs. This encourages a smooth ride. The rear suspension features a multi-link system with an anti-roll bar to keep the vehicle steady as it moves. The four-disc brakes are ventilated and very responsive. These allow the vehicle to stop right on time while also preventing skidding. Meanwhile, the rack and pinion setup for the steering wheel lets it respond quickly to various movements. The 2.4L I4 149 hp engine is particularly powerful. It adds a bit of pep to the vehicle. This vehicle also runs on diesel fuel. For offroad use, the Downhill Assist Control feature lets this control braking forces to get the vehicle down to slower speeds. This keeps the vehicle from going too fast when on a decline. A reinforced steel underbody is also included to protect the vehicle from any damages when heading downhill. What is the Exterior Like? The next point to see about the Toyota Fortuner 2016 is its exterior. Designed with a length of 4795 mm, the Fortuner has a 2745 mm wheelbase. This gives it support for its interior parts and plenty of cargo space but the design itself goes well beyond the size. The Keen Look design system offers slimmer projection headlights. The headlights are streamed quite well while the grille is slim in size and still has a distinctive appearance. The windows are also curved to where they are shorter on the back part. The outside has a great design that will make the Fortuner stand out. The design is indicative of the Toyota Fortuner price but it is also easy to maintain and enjoy driving around in. One part of a Toyota Fortuner review that you deserve to see entails the inside of the car. The interior is organized to create a comfortable and relaxing look. The interior has been designed with a flowing body with a 60/40 split on the second row. The third row can fold all the way out for cases where you need a little bit of extra storage. The inside has fifteen storage spaces. This is convenient for everyone in the car as every row has its own series of convenient spots for storage needs. The dashboard has a useful air conditioning control system that is precise and offers control over many zones. The 4.2-inch display feature on the driver’s side also shows information on the car’s diagnostics in a clear and easy manner. A cooler box is also included on the passenger’s side dashboard. This generates enough refrigerated air on command to create enough cool air within the entire car. There are several other important Toyota Fortuner specs to take a look at. There are six audio speakers around the entire vehicle so sounds can quickly go around the entire cabin. Meanwhile, the Bluetooth connection system on the seven-inch display unit helps people to link up their mobile devices to the stereo system without any wires. The steering wheel has a series of controls on its body for a variety of functions. This allows the user to adjust the cruise control and audio features in the car without leaving the wheel. The power back door allows the trunk to open up without having to go outside the car to open it up. This allows the user to quickly open up the car and to gently get the trunk to open. You can even program the memory function to adjust how far up it will open by, thus keeping it from bumping into other items when you are in lower-clearance areas. The safety features in the car are well worth the Toyota Fortuner price that you’d pay. This offers seven airbags and a back camera that is active when you are reversing the vehicle. The Vehicle Stability Control feature also uses sensors to control the braking and steering functions when driving. The Trailer Sway Control feature especially helps with keeping the vehicle from struggling. This uses brake and engine output control features to limit trailer movement in the event that it sways for any reason. As this works, the trailer will stay intact on the road and will not slip off of the hitch. This is important for windy, icy or slick conditions or for when you are trying to drive the car on a curvy or rocky road. 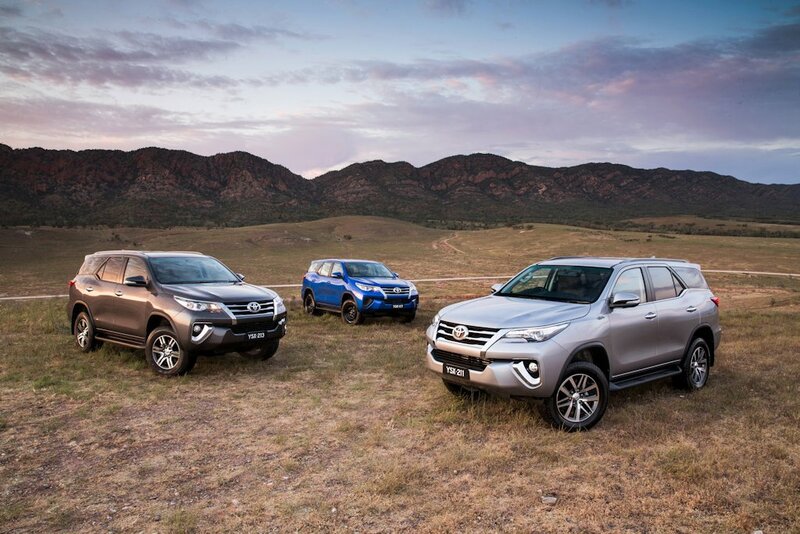 The competitors for the Toyota Fortuner include the Ford Endeavour and Chevrolet Trailblazer. 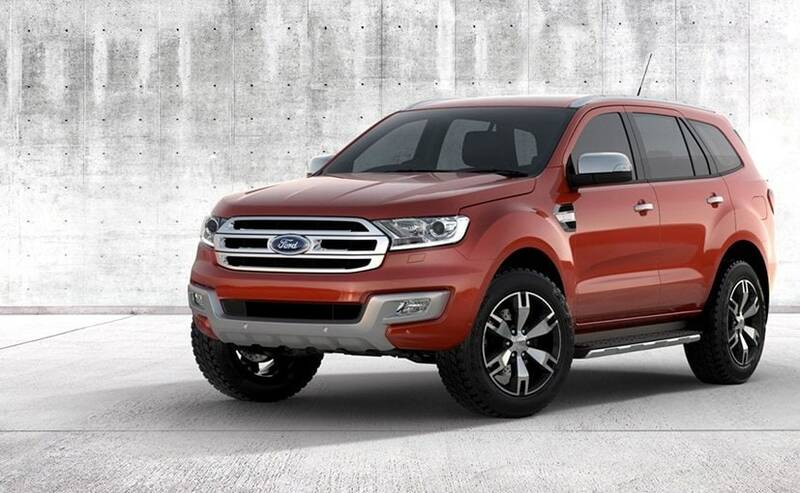 The Endeavour offers a leaf spring setup and an adjustable traction control feature for offroad use. 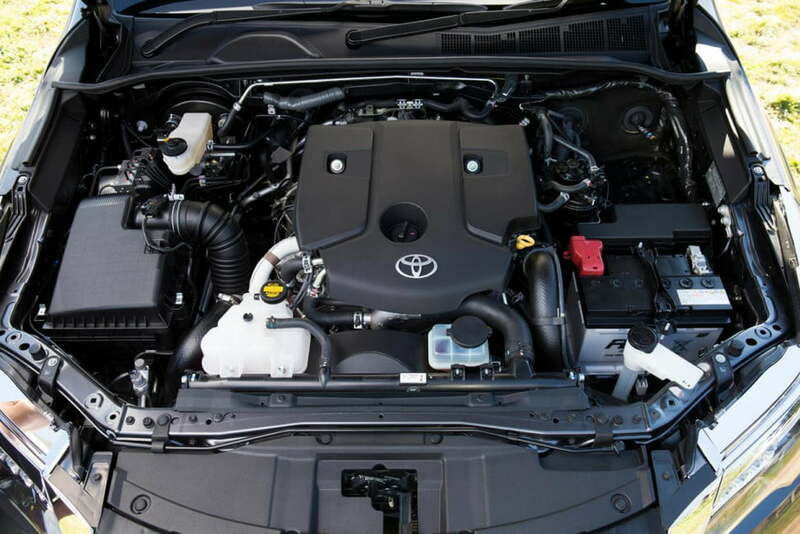 However, the 2.2L engine is not as strong as what the Fortuner has. The Trailblazer has a stronger 2.8L diesel engine and a six-speed automatic transmission that is standard. This is a little larger in size from a physical standpoint too. Those who are looking for an efficient and useful SUV can certainly enjoy the Toyota Fortuner 2016 model. This is a great option that could be ideal for those who are looking for an efficient SUV. This model has plenty of offroad support features and especially avoids skidding and other common problems as it moves around. It is an ideal option that you can use when finding a great vehicle that will get you out there quickly and effectively. Nitin is a writer, editor, amateur actor, aspiring director and a perfect digital nomad who lives to eat, drink and watch movies.